Salem: Swampscott's Jake Fitzpatrick is tagged out by Danvers' Wes Milbury as Fitzpatrick tries to steal second in the fourth inning. Photo by Mary Catherine Adams/Salem News. 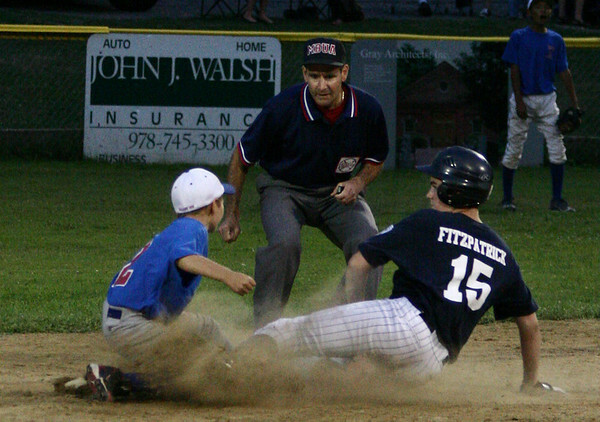 , Salem: Swampscott's Jake Fitzpatrick is tagged out by Danvers' Wes Milbury as Fitzpatrick tries to steal second in the fourth inning. Photo by Mary Catherine Adams/Salem News.